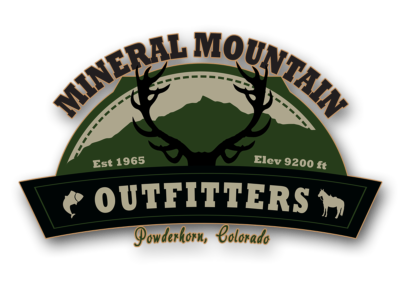 Mineral Mountain Outfitters offers a variety of customized horseback rides, including trips through the Powderhorn and La Garita Wilderness Areas. These wilderness areas offer miles of untamed and rugged Rocky Mountain beauty that one must see to believe. The Powderhorn Wilderness area (dedicated in 1993) has some of the largest, unbroken expanses of alpine tundra in the lower 48. This area’s beauty and grandeur is beyond compare, encompassing 61,915 acres and 45 miles of trails. Home to the Powderhorn Lakes, the area is spotted with fish-filled lakes, streams and small creeks fed by snow runoff that continuously cuts paths through this vast and secluded area. Powderhorn Wilderness currently . The La Garita Wilderness (dedicated in 1964) is one of Colorado’s original 5 wilderness areas. Though this is one of the oldest wilderness areas in Colorado, it is one of the most secluded and unspoiled. The rugged terrain, formed by glaciation and volcanic rocks, encompasses 126,626 acres and 175 miles of trails and pathways. This area is perfect for horseback trips with 35 miles of the Continental Divide and 27 miles of the Colorado Trail. In this wilderness, one will find rushing streams and creeks fed by snow runoff, high-mountain peaks, and gentle alpine meadows that provide refuge to large herds of elk, mule deer, and numerous other species. Our La Garita or Powderhorn Wilderness guided trail rides range from a couple hours to a half or full day. We will customize distance, terrain and length of the ride according to every guest's wish list. Our string of guest horses are gentle and well schooled. We can accommodate all ages and skill levels of riders. - Suitable for guests as young as 5 years old. - Ride from headquarters up Mineral Creek with a short break on the bank of the creek. - Includes drink, snack and a souvenir. - Suitable for guests 7 years old and up. - Ride from headquarters up Mineral Creek with a short break on the bank to water horses and stretch! - Extra fee for drink, snack and souvenir. - Suitable for physically fit guests with little to very experienced levels. - Ride up Rough Creek trail for a breathtaking view of the mountain scenery. Rugged and adventurous describes this ride. - Extra fee for lunch or a drink and snack combo. - $150/ per person; min 2 people. - Ride into the Powderhorn Wilderness to Robbers Roost and see one of Colorado’s infamous hideouts. - Includes a break of about 1.5 hrs to explore this breathtaking mountain park and enjoy a lunch you pack or for an extra fee, a lunch or a drink and snack combo from MMO.